Welcome to my "Vintage Caribbean-inspired" bedroom where I have mixed mostly old things with new style. There are several vignettes here, so I hope you enjoy! When we moved into the house this was a very plain bedroom. We added the oak hardwood floors and baseboards. I had recently inherited some antique furniture and needed to find a way for it all to work. I was inspired by the painting. I chose the wall color from that and ended up with a retreat reminiscent of a Caribbean hotel or villa. I wanted to combine the feel of old Florida with the style of the beautiful island of Puerto Rico, where my husband is from. Almost everything in this room, down to the vintage linens, is passed down from someone, which makes it really special to me. So...take a peek! 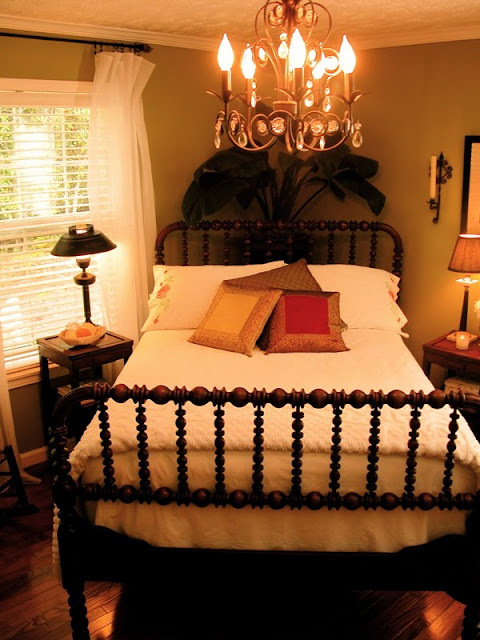 The bed is an 1860s spool bed in beautiful condition passed down through my family. The chairs are both 100 years old. 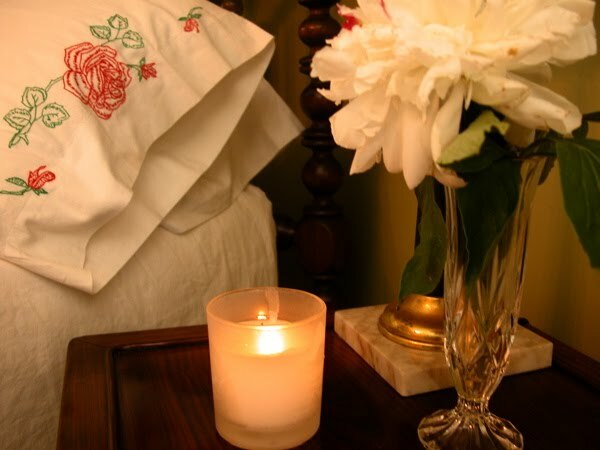 Side tables were handcrafted to go with the bed. Lamps are also from the 70s. 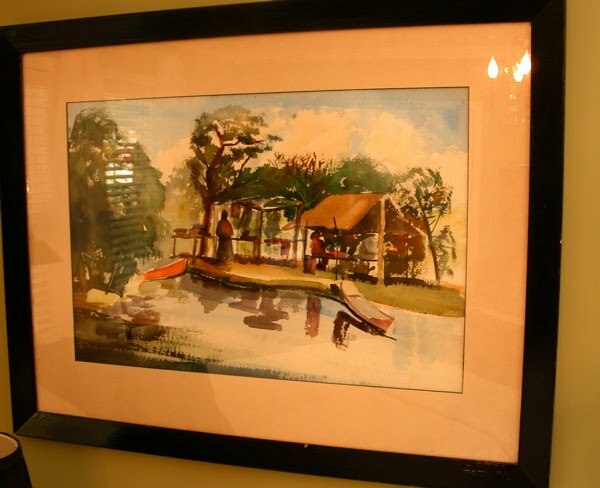 This is the original watercolor that inspired the colors. It came from Florida, but I don't know anything about the artist. 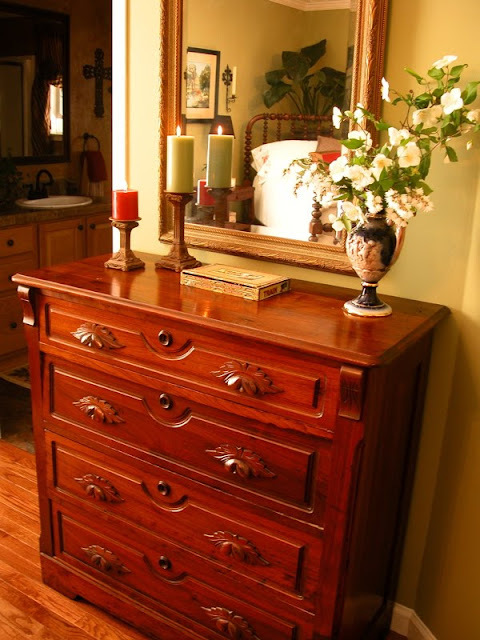 This chest is also antique and handcarved. The workmanship is exquisite. 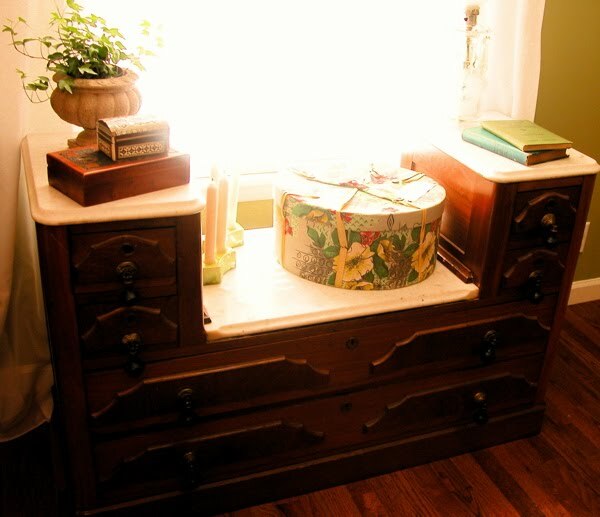 This is a victorian mahogany dresser without the mirror. Vintage hatbox my grandmother covered. The candle holders are 70s. The bottom box I brought back from Bosnia, and the top one came from Egypt. These photographs were the inspiration for the style of the room. My great grandfather was one of several men who founded Palm Beach County in the early 1900s. The top, left photo is of his house there. Top right, James. W. Porter in Hypoluxo, Fla. Bottom photos are of my grandmother and great grandmother. Why is this important to me? Our house now is on his land. He bought this place in North Carolina for a summer residence, and several of the furniture pieces in this house were his. My grandmother brought this shelf from Florida. 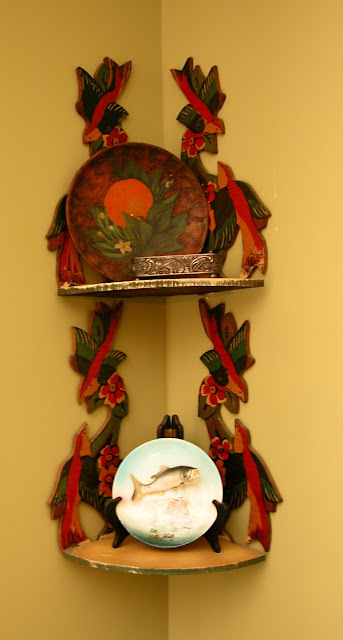 The top plate is made from orange tree wood and is displayed with an antique pewter hairpin box. Below is more art from Florida. These prints came from Florida in the 70s. 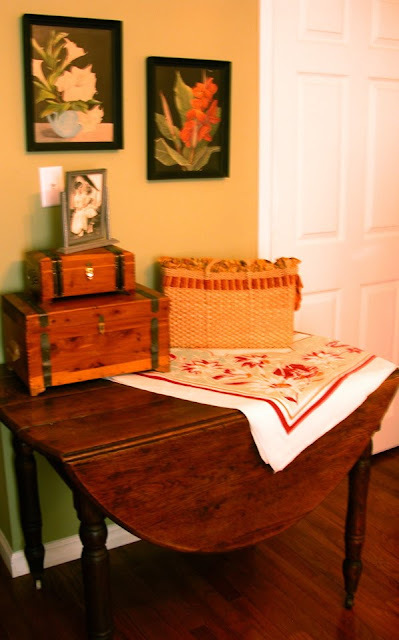 The drop leaf table was my great grandfather's. Vintage handbag, and boxes. I hope you enjoyed my tropical-styled retreat! I love taking old things and reusing them in a new way. 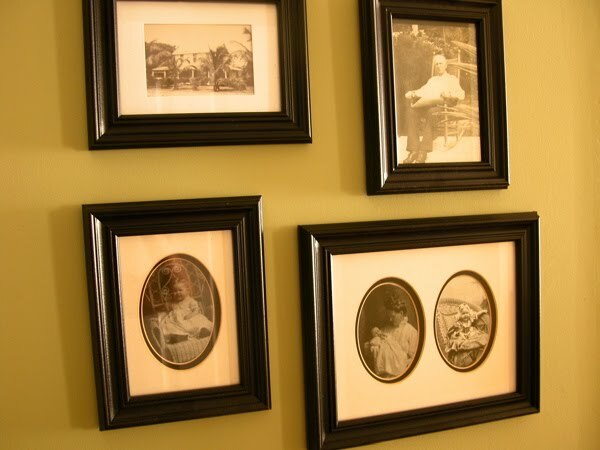 Family heirlooms mean a lot to me and I always try to find a way to make them look new and fresh. I am always looking in my parent's basement for something no one else wants that I can restore. So before you run to a furniture store, look in the basement or the garage or the attic...who knows what treasure you might find!! I'll be participating in "Vignette Friday" over at "Color Outside the Lines" so go by there and be inspired! What a pretty room. Thanks for sharing! I love your bedroom - so warm and clean looking ! What a lovely room, and I adore the fact that there is so much Florida history in it. I'm a transplant to Florida (coming at a young age), but I love it here SO much. Loved all of your Florida collectibles. I have a lot of antique family furniture, and like you, I cherish it. 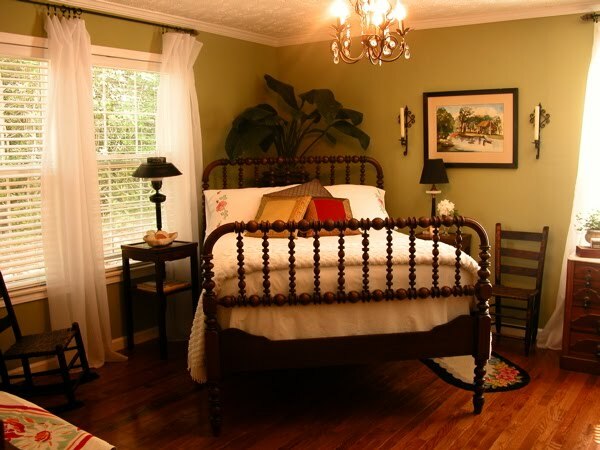 I love the fact that you did a Florida themed bedroom with your pieces. 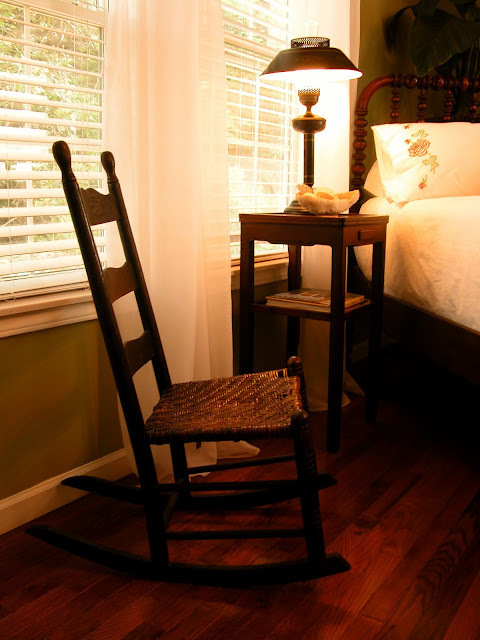 I have a similar spindle bed from my family (I use in our St. Augustine retreat), but it has posts. Thanks so much for sharing this. I thoroughly enjoyed it. What color is your green? I love that shade. Your bedroom is gorgeous! I love your furniture, the wall color and those breezy curtains. What fantastic hardwood floors, too. Love the beautiful chandelier! Great accessories and the gateleg table is a beauty. Well done! Oh! Your room is such a beautiful and warm place. It looks like photos from a magazine...especially that first photo! This is a gorgeous room. I really like the combination of furniture and the color scheme you have chosen. I need your talent to take on my house! I host a weekly blog event called Crock Pot Wednesday and would like to invite you to participate. Mister Linky is up and ready for this week. Come post a favorite slow cooker recipe. There's a giveaway going on this week as well. Wow, what a room!!! Loved looking at it all. My Grandpa who was born right after the civil war had a spindle bed (my sister has it). He lived to be 102 & 1/2 years!! Loved seeing all the family stuff---what a wonderful way to display it. I participated in met monday too on my spindle cottage blog. Hi, Anita your bedroom is beautiful,I love your furniture. god bless your home and family. XO Isora From Miami Florida. 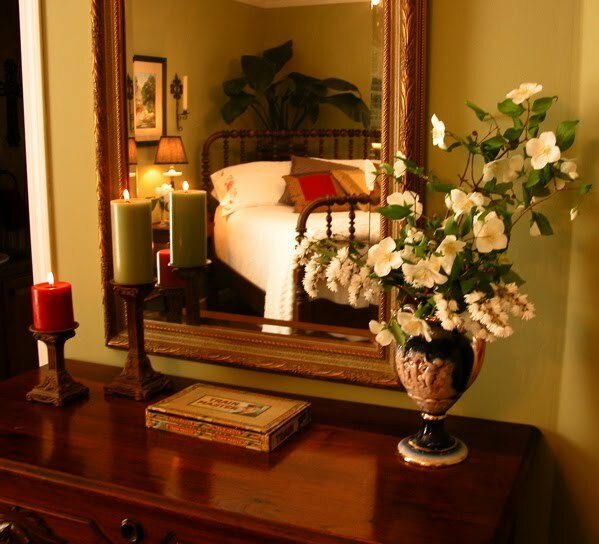 You have some beautiful pieces of furniture and it is lovingly arranged. Very nice. I am so glad I found your blog - I love your style. Your house looks like what mine is trying to be!